Dr. Trettenero DDS has mastered the art of Painless Injections! After more than a quarter of a century of practicing high quality, high technical, advanced dentistry, I still get a charge out of doing something that is very simple and very basic. I love to be able to give my patients a painless injection. I think I get more response to this procedure than anything else I do. How many of us are frightened to death of getting a shot? Many. I see it every day. Maybe you’re one of those people who avoid necessary dental work just because you can’t stand the thought of being injected. Fears from past dental experiences live on and on and are hard to get over. Some people never do. It’s a real shame. I know how much these fears impact the oral health of a large percentage of people who really need to have some dentistry done. They just can’t get over the thought of a painful injection in their mouth. I myself have had painful experiences with injections. One time I had an injury to my elbow that required an injection of cortisone. The first doctor I went to was very careful and I barely felt it. Great! The injury reoccurred some years later and I needed another shot. I saw a different doctor to give me the same medicine. He was abrupt and in a hurry and jabbed the needle right to the bone without any hesitation. I just about went through the roof! What a difference a doctor’s care makes. I made the decision then and there that I was going to keep my patients from ever having to experience what I just went through. It became an obsession with me. I tried many different techniques and had some success. Eventually, I felt I could give a good injection but not what I would call totally painless. Then one day I came across new information in a technical newsletter that made sense to me. A new anesthetic had just come out and the beauty of it was it had a neutral ph. I had learned almost all the others have an acid ph which causes the burn we feel when it’s injected. I was thrilled (and so was my patient) when I tried out this new anesthetic. It worked beautifully! I now use it every time I give an injection. Every single time without fail. This anesthetic also makes the area numb very quickly. Then, after the area is totally numb from the neutral ph type, I use one of the regular types of anesthetic. The two together are a very profound and effective combination. I also use the smallest gauge needle made. Compared to what I used in my early days of practice they are extremely skinny. These tiny little needles make a huge difference in how the patient feels it. In fact, they are so thin, I use magnification glasses to see where I am injecting. Plus, I want to make absolutely sure I stay away from any blood vessels, as this is a source of discomfort if you hit one. I reply that shots still do hurt if given the regular way. 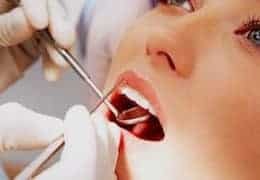 My patients also are very impressed when I have to numb an area such as right up front where it is very sensitive. In that case, I begin the numbing process by injecting a little to the side where it’s not so touchy. After that part is numb and the anesthetic has spread out I move closer to the front. That way the numbness spreads into the sensitive area and is already numb so it doesn’t hurt. After every injection I make a habit of asking my patient how they did with their shot. They always respond in a positive way. This gives me a chance to discuss the technique with them if they are interested. So, the secrets of a painless injection start with the neutral ph anesthetic. Then the skinny needle, followed by a very slow rate of delivery. Knowing where to inject is extremely critical and the care given to avoid painful, sensitive areas is so important. I know how much my patients appreciate this extra care and attention to avoid pain and discomfort. They tell me so. It’s great satisfaction to me personally in knowing I have done something for my patients that is above and beyond what they are used to. In the end it all comes down to: Do unto others as you would have them do unto you. I know how much I would appreciate it if I had it done for me. We invite you to visit the dental office Of D. Scott Trettenero, DDS for a consultation. Let Dr. Trettenero come up with a solution that will give you the confidence and success in life from a great looking smile. His office is conveniently located in Fort Myers, so call (239) 277-7007 today to schedule a consultation. Check out our contact page where we post a Google map of our convenient location. Ask our Fort Myers dentist about painless injections today. Dr. Trettenero’s unique blend of people skills, technological dental expertise, and personal integrity, plus 35 years operating a Fort Myers dental office create an environment that gives his patients a calm assurance knowing their dental care will be done with the highest level of professionalism. Why Choose Dr. Trettenero as Your Dentist? What Patients Say about their Fort Myers Dentist? Follow, Like and Friend Us on Linked In, Facebook or Twitter. Get connected with your Fort Myers dentist today. Get appointment reminders, and news from our dental practice without being flooded with emails. Copyright © 2019. Created by Medical Marketing Logic for Fort Myers Dental Office of D. Scott Trettenero DDS.